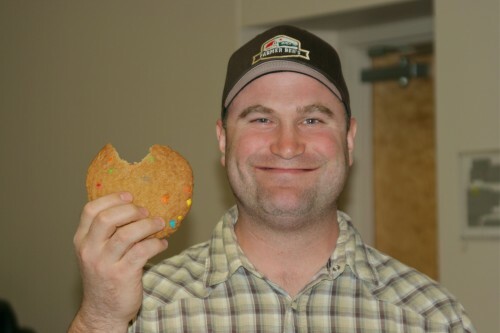 A meat producers cooperative formed to provide processing and marketing services to livestock operations is raising capital with member equity shares. 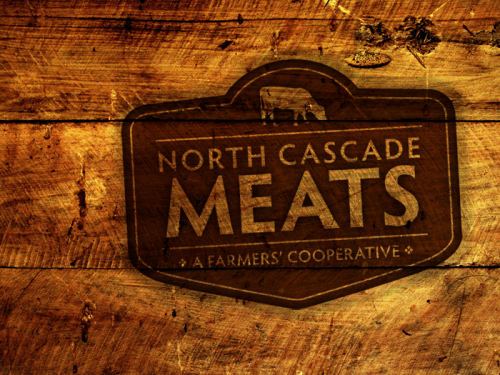 By the first of the year, the North Cascades Meat Producers Cooperative expects to have its processing plant in operation. 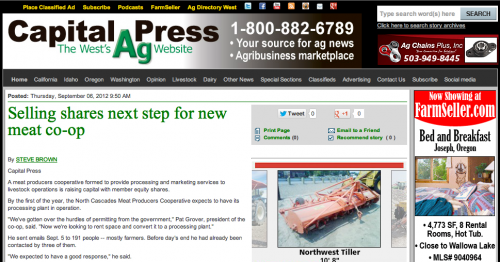 Our cooperative effort is moving ahead on a number of fronts. Here are the latest activities and progress that have taken place since our June 7th meeting and presentation. 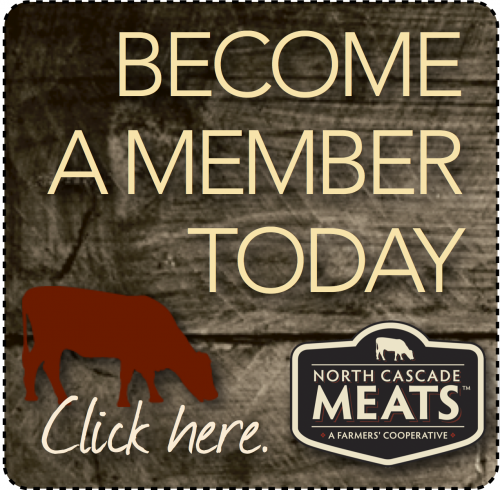 Last Thursday, June 7, 2012 North Cascade Meat Producers Cooperative hosted an informational meeting at St. Luke’s Educational Center at PeaceHealth. 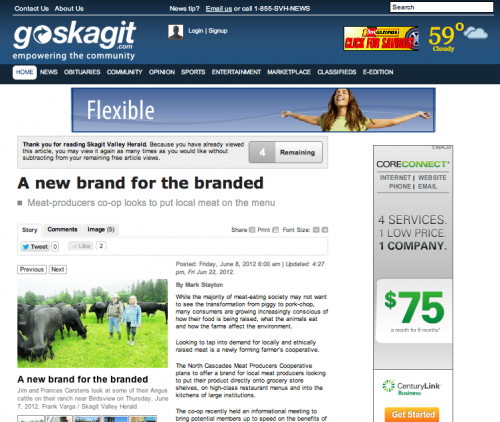 The event was attended by approximately 80 people, representing local meat producers, grocery managers, restaurant owners, PeaceHealth’s executive chef and media. 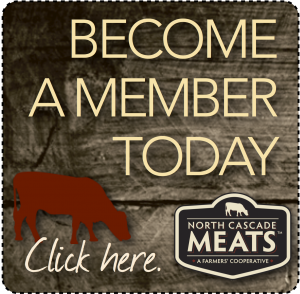 The original purpose of the meeting was to introduce all details of North Cascade Meat Producers Cooperative and accept applications for membership.